Dr. Alex Gamez is a native of Southern California who developed a passion for working with animals at a young age. Growing up he learned to care for a variety of family pets and even spent the occasional summer in Guatemala working on his grandfather’s farm. It was during these moments in life that he realized his desire to seek a career in the animal field and thus started his journey in becoming a Veterinarian. Dr. Gamez’ academic career began at Cerritos College where he obtained his Associates of Arts degree in Zoology. He then transferred to Cal Poly Pomona where he received a Bachelor of Science degree in Animal Science. 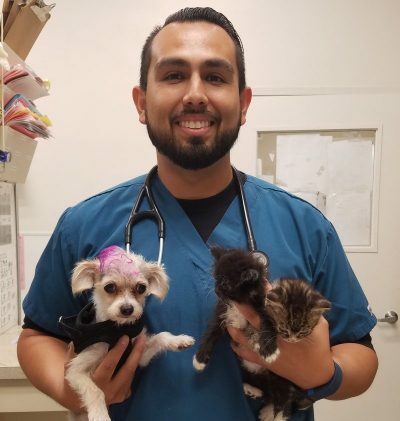 During his time in undergraduate school, Dr. Gamez also spent his time volunteering at several animal shelters and general practice animal hospitals which led to him obtaining a working position as a Veterinary assistant. In 2016, Dr. Gamez graduated from Western University of Health Science Veterinary School where he received his Doctor of Veterinary Medicine degree (DVM). During his 4th year of veterinary school, Dr. Gamez had the privilege of doing an externship at Center Sinai Animal Hospital. While he was shadowing the doctors, he quickly realized what a great hospital this was and how amazing it would be to be part of the Center Sinai Animal hospital team. 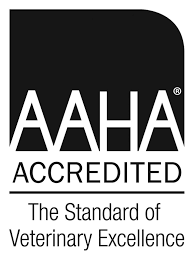 In June 2016, Dr. Gamez became an Associated Veterinarian for CSAH. “I love working here. I work with a great group of Veterinarians, the staff is incredible, and I get to care for some amazing patients. I am happy to be part of such a wonderful team”. When Dr. Gamez isn’t working he enjoys spending time with family and friends, and taking care of his cat, Nala. Other activities he enjoys includes playing basketball, football, practicing mixed martial arts, hiking, exploring new places, and most importantly, relaxing.